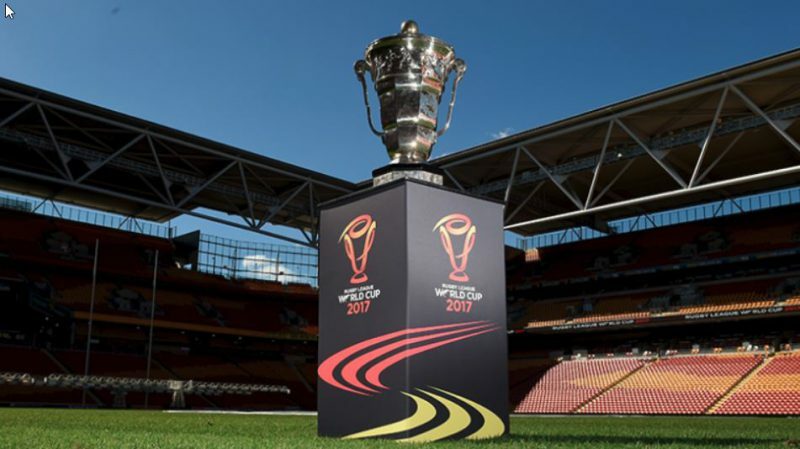 The fifteenth staging of the Rugby League World Cup takes place in Australia, New Zealand and Papua New Guinea over the coming month. Dominant force Australia are being tipped by everyone to lift the trophy come the final in Brisbane on December 2nd. Australia are, unsurprisingly, the most decorated side in Rugby League history with ten wins and although they are expected to make it number 11 on home soil, their skipper Cameron Smith insists they are not taking things for granted. “As far as what the public and the bookmakers say, that doesn’t really concern us. What concerns us is our preparation,” said the Melbourne Storm star. Away from Australia and their main rivals are expected to be the usual candidates of New Zealand and England. England’s star is Australian-based South Syndey star Sam Burgess, and he is hopeful that they can cause a shock. “We’ve got a good chance but it’s down to how hard we want to work when it gets hard on the field,” said Burgess. New Zealand have been hit by the loss of some stars, including Jason Taumalolo, to Tonga – who many, including us (see below) could make a huge impact on the tournament. The biggest loss for New Zealand is Taumalolo – who is now looking to upset things with Tonga. “At the end of the day I’m here to play for my country and I’m looking forward to doing that,” said the Cowboys superstar. Realistically only Tonga can challenge the big three, with the likes of France, Fiji, Papua New Guinea, Scotland and Ireland – happy to make the quarter-finals. See below for a full preview of each group with odds from Betfred and our predictions. As is always the case, there will be three sides leading the way in the Rugby League World Cup: Australia, England and New Zealand. Likely to be a popular pick, England are the best of the home nations and they will fancy their chances. However, Wayne Bennett has certainly caused a stir with his squad selection and a number of big names have missed out. The squad seems to be top heavy and with Ryan Hall and Jermaine McGilvary the only specialist wingers, injuries and fatigue could be an issue Down Under. Co-hosts New Zealand have had far from ideal preparation with Jesse Bromwich and Kevin Proctor dropped after being filmed taking cocaine. They aren’t the only players who won’t be pulling on a Kiwis shirt, four players, including star man Jason Taumalolo, have decided to turn out for Tonga instead. That should, in theory, leave the door open for the Kangaroos to romp home. Australia are by far and away the best nation in the 13-man code and they are odds on to retain their title thanks to a star-studded squad. A look at Thursday's racing with BetVictor's Charlie McCann. Odds accurate; 24/10/2017 12:00 am.